Sparkle Kitty is under the weather, and she needs some giggles to help make things right. Supplies: Stamps – Paper Smooches, The Cat’s Pajamas, paper – Neenah Classic Crest Solar White, Stampin’ Up! Bashful Blue (retired), Basic Black, inks – Copic B21, E15, E51, R81, YG25, VersaFine Onyx Black, dies – Spellbinders, embossing folder – Stampin’ Up!, embossing powder – Filigree Fine Art Powder clear, twine – Stampin’ Up!. 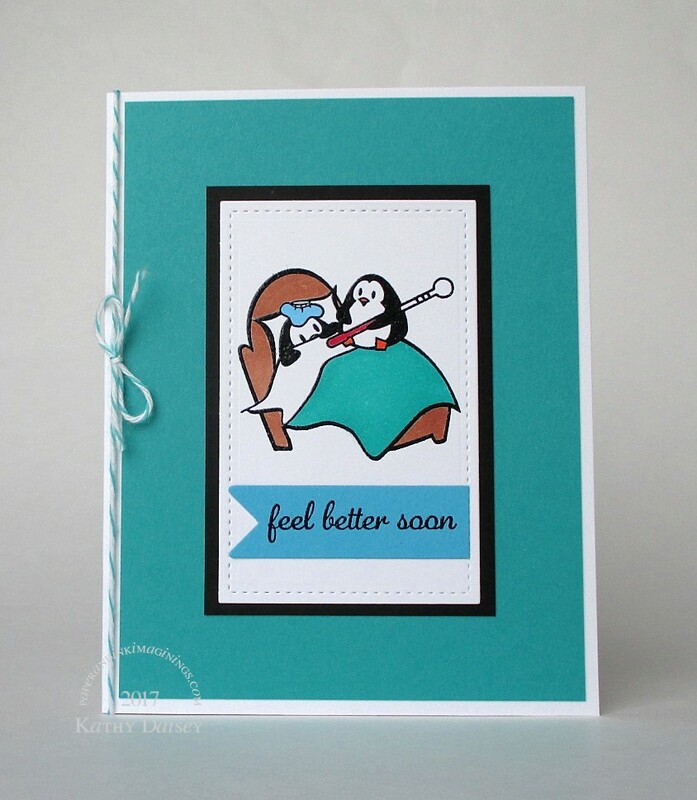 Categories: card, get well | Tags: card, Copics, Neenah, Paper Smooches, Spellbinders, Stampin' Up!, The Cat's Pajamas, Tsukineko, VersaFine | Permalink. The chicken in the bowl (NOT The Muppets Swedish Chef and Chicken in the Basket!) and the sentiment were in my scrap folder. 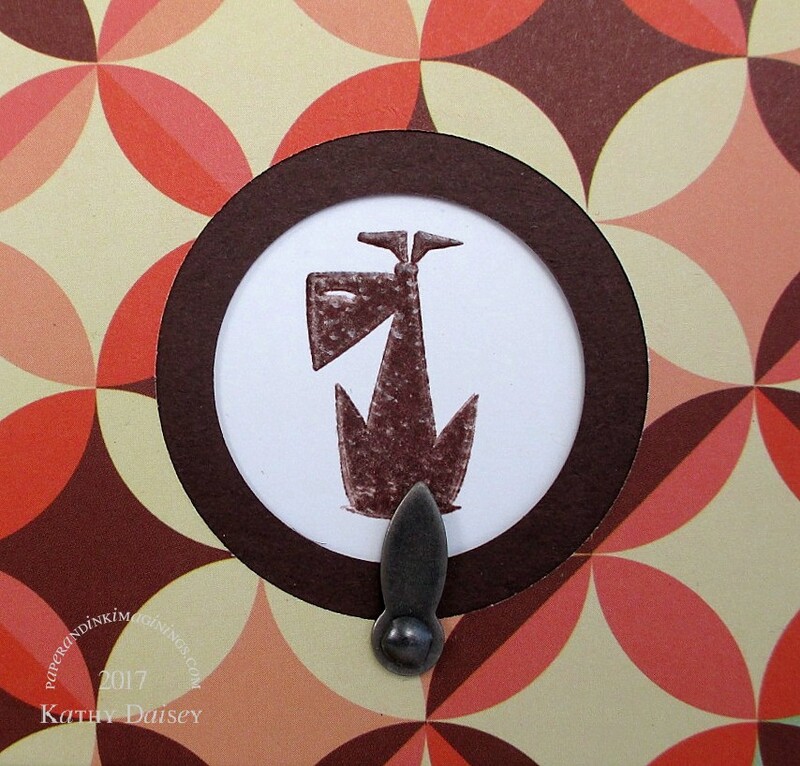 Supplies: Stamps – The Cat’s Pajamas, paper – Neenah Classic Crest Solar White, Stampin’ Up! 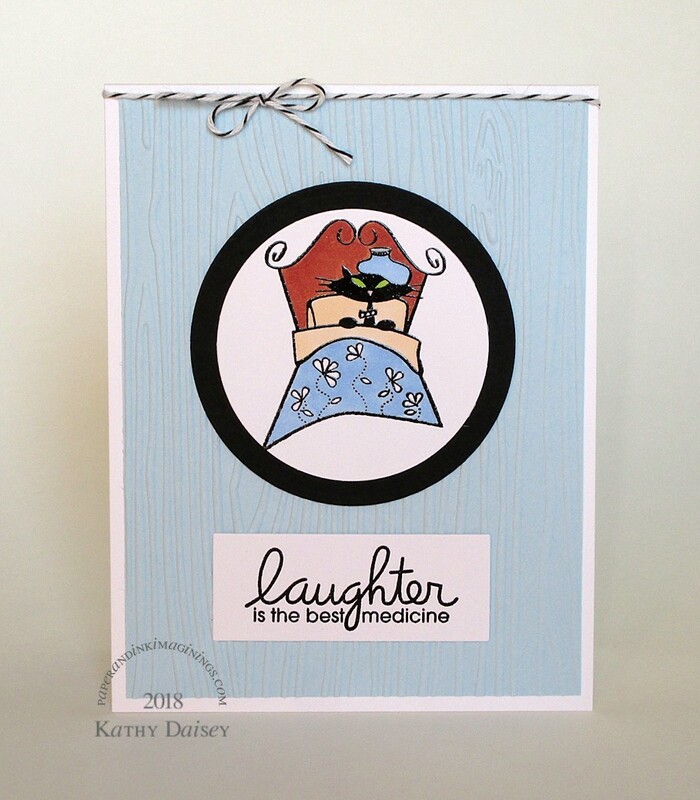 Bashful Blue (retired), Basic Gray, inks – Copic B21, C3, E51, Y17, VersaFine Onyx Black, dies – Lawn Fawn (stitched rectangle), Spellbinders (tag rectangle), embossing folder – Provo Craft, embossing powder – Filigree Fine Art Powder clear. Categories: card, caring, get well | Tags: card, Copics, Lawn Fawn, Neenah, Provo Craft, Spellbinders, Stampin' Up!, The Cat's Pajamas, Tsukineko, VersaFine | Permalink. I am struggling to bounce back from holiday activities – just TIRED. So this card won the coin toss for today’s post. Supplies: Stamps – Stampin’ Up!, The Cat’s Pajamas, paper – Neenah Classic Crest Solar White, Stampin’ Up! Basic Black, Bermuda Bay, Tempting Turquoise, inks – Copics Bo2, BG15, C3, E23, R29, YR68, VersaFine Onyx Black, dies – My Favorite Things (pierced rectangle), Taylored Expressions (banner), embossing powder – Filigree Fine Art Powder clear, twine – Stampin’ Up! Categories: card, get well | Tags: card, Copics, My Favorite Things, Neenah, Stampin' Up!, Taylored Expressions, The Cat's Pajamas, Tsukineko, VersaFine | Permalink. Offspring2 cleaned out a few drawers last weekend, and I got to sort through cards from the last 15 years. This viewfinder card was made in 2009. Supplies (that I remember!!! ): Stamps – A Muse Artstamps, Inkadinkado, JustRite, Stampin’ Up!, The Cat’s Pajamas, paper – Stampin’ Up! Chocolate Chip, Whisper White, Wild Wasabi (textured), not sure about rust layer (too light for Really Rust, too dark for Pumpkin Pie!) 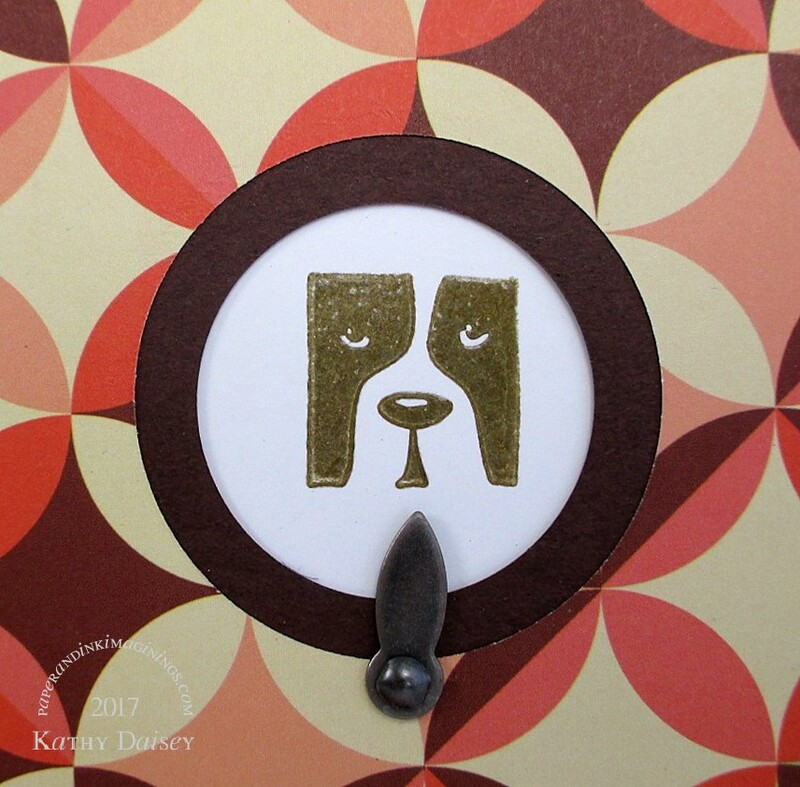 or DSP, inks – Encore Gold, VersaFine Vintage Sepia, dies – Spellbinders, hole punch – Fiskars, metal hardware – Stampin’ Up!, embossing powder – Stampin’ Up! clear. 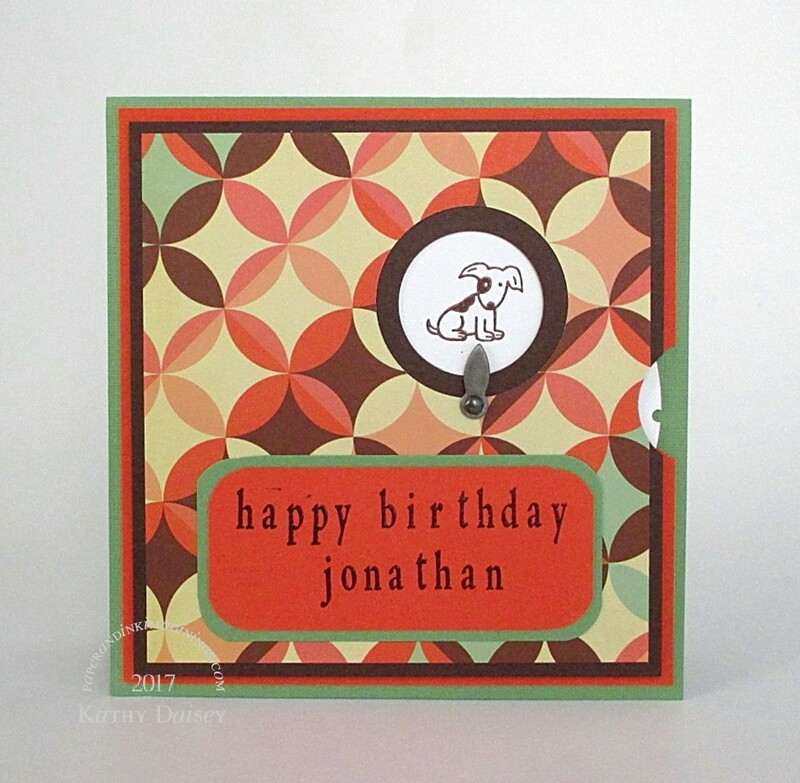 Categories: birthday, card | Tags: A Muse Artstamps, card, Encore, Inkadinkado, JustRite, Spellbinders, Stampin' Up!, The Cat's Pajamas, Tsukineko, VersaFine | Permalink. I read about a card drive on Facebook (and one of the stamp company blogs, maybe…I went looking, I can’t find the post). Jacob Thompson is 9, has a late stage cancer, is not expected to make it to Christmas. He wants Christmas cards, and he likes penguins. Peace to Jacob and his family. 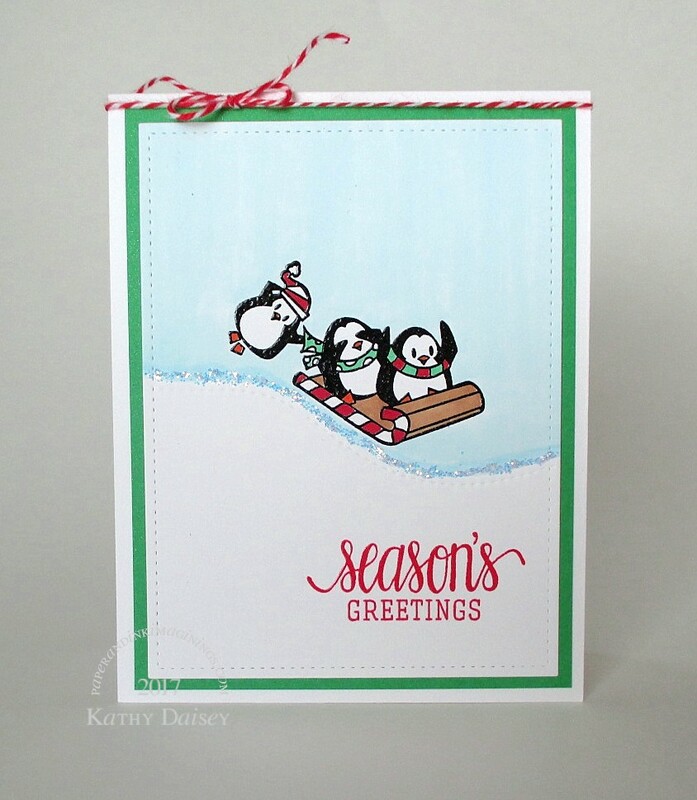 Supplies: Stamps – Hero Arts, The Cat’s Pajamas, paper – Malmero Perle Sparkle Green, Neenah Classic Crest Solar White, inks – Copic B0000, B00, E23, G03, R29, YR09, VersaFine Onyx Black, Satin Red, dies – Lawn Fawn, glitter – Stickles Crystal, embossing powder – Ranger clear, twine – MarkerPOP. Categories: card, caring, holiday | Tags: card, Copics, Hero Arts, Lawn Fawn, Malmero, MarkerPOP, Neenah, Ranger, The Cat's Pajamas, Tsukineko, VersaFine | Permalink. 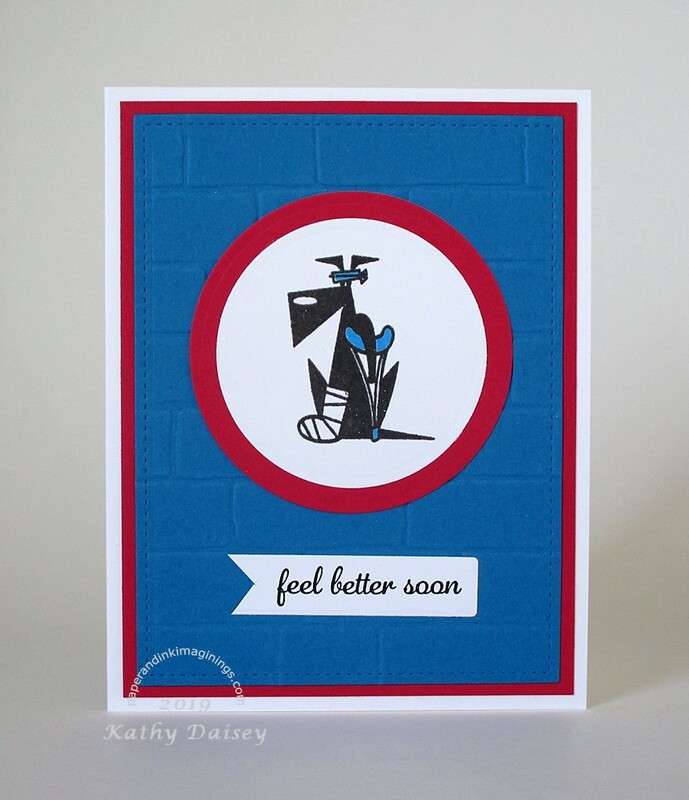 This is one of the cards I made for my Dad. I was so excited when this idea popped into my head, and that I was able to execute the design. My Dad is not really represented by the images available from the stamp industry. He is not into nautical, the great outdoors, cars, jets or trains. He LOVES sports (baseball being #1), he loves jokes, he loves chocolate, AND he loves his family. He still plays softball and basketball at 83. I thought about what he would be doing on Father’s Day…watching baseball. 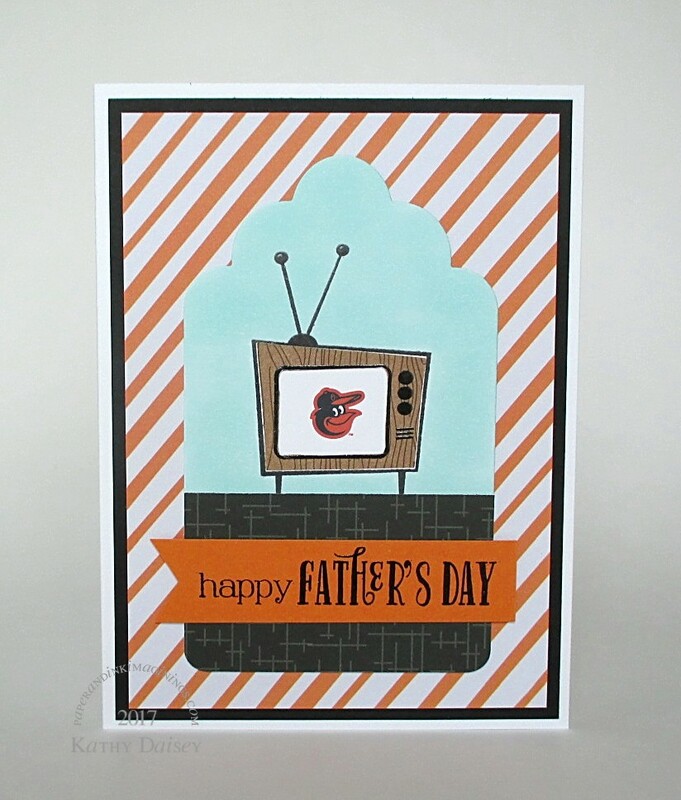 I found a Baltimore Oriole logo online (hey, for personal use here, to make an old guy smile), and printed it on white cardstock. I then stamped the TV over the logo, and on a separate piece of woodgrain paper. I cut the woodgrain image to use the cabinet part of the TV for paper piecing. The white cardstock with the TV got die cut with a large tag die, and I colored the wall a light blue/green, and added a piece of background paper for the flooring. And I just kept adding layers of Baltimore Oriole team colors. I searched Google Images for “Baltimore Orioles logo”, and found one that had the resolution I needed to be able to print it. The image was from the Official Site of the Baltimore Orioles. 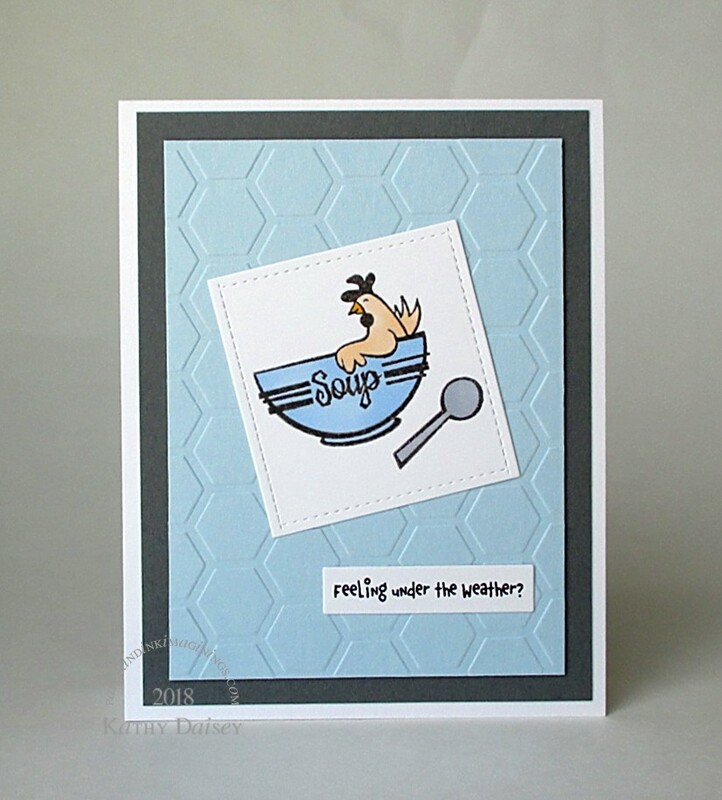 Supplies: Stamps – Clearly Besotted, The Cat’s Pajamas, paper – American Crafts Amy Tangerine On A Whim, Avery Elle Neutral Collection, Neenah Classic Crest Solar White, Stampin’ Up! Basic Black, Pumpkin Pie, Taylored Expressions Build A Scene, ink – Copic BG10, VersaFine Onyx Black, Smoky Gray, die – Taylored Expressions, embossing powder – Filigree Fine Art Powder clear. 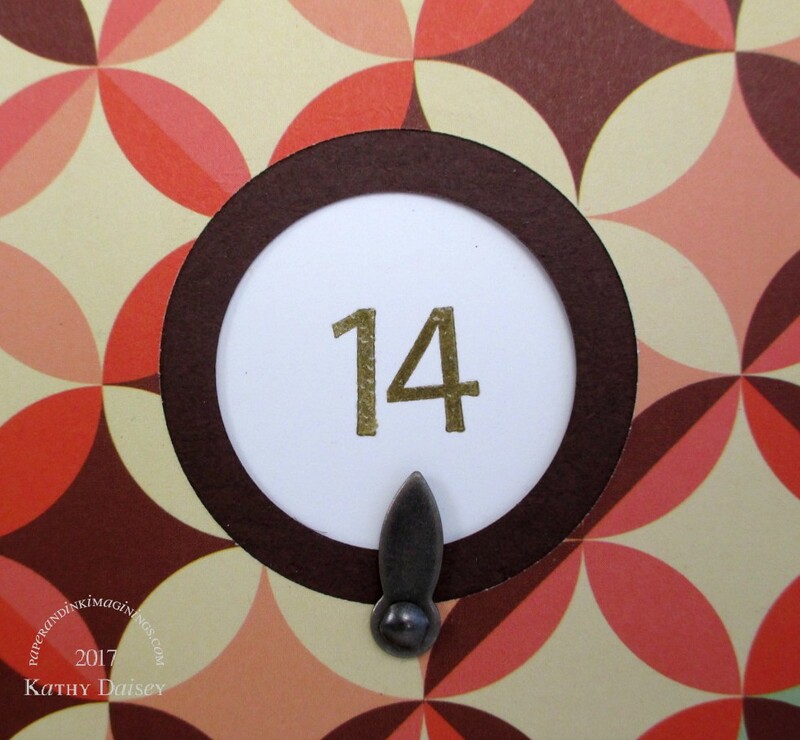 Categories: card, Father's Day | Tags: American Crafts, Amy Tangerine, Avery Elle, card, Clearly Besotted, Copics, Neenah, On A Whim, Stampin' Up!, Taylored Expressions, The Cat's Pajamas, Tsukineko, VersaFine | Permalink.